Online privacy is a growing matter of concern amongst many users, and it certainly should be, considering the number of threats that one faces online. Hackers online can easily access one’s system and breach their privacy with the help of viruses and malware. There have been multiple reports of hackers hacking into one’s laptop via webcams and stealing personal information. One of the biggest hacks took place in 2014, where a voyeuristic website popped up in the news that streamed video from thousands of webcams located in 250 countries worldwide. Since it is not a hidden fact that webcams are vulnerable to hacks, many users have started using black tapes and other cheap methods to block their webcams when not in use. But these cheap methods, in turn, end up harming your webcams. Starting off on this list, we have the Webcam cover from Sunshot. 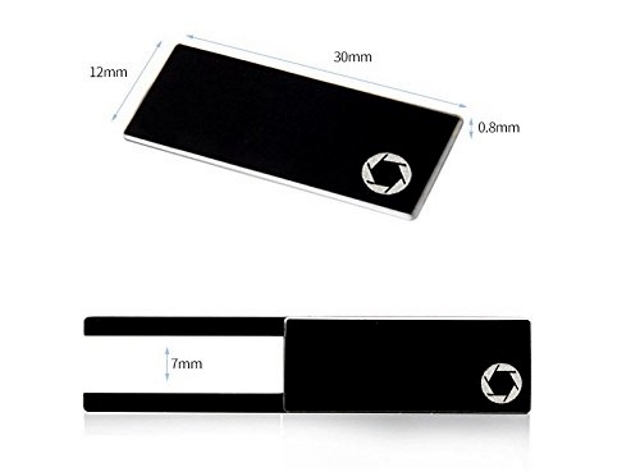 Coming off with a mere thickness of just 0.7mm, this is one of the slimmest sliding webcam covers out there, which does not interfere with the closing of your laptop. Also, the metal and magnet on this device are quite durable, so it should easily last the test of time. The adhesive on this is a durable 3M adhesive, allowing the cover to procure a firmer grip onto the laptop’s body. And if that wasn’t enough, the product also comes with a 12-month warranty. Steagle is one of the most well-known brands out there, so when they bring out a product, you know that the quality of it is going to be top-notch. A little bit thicker than the Sunshot Webcam cover at 0.8mm, it is as thick as a normal credit card. That being said, it still does not come in the way of your laptop closing. Also, it has a more flat design, thus giving it a different look altogether. Furthermore, the Steagle Webcam cover was produced using precise CNC (Computer Numeric Control) design where computer programming is used in prototyping and full production for cutting, carving, machining and milling aluminum. All in all, the Steagle product is completely worth its price tag. 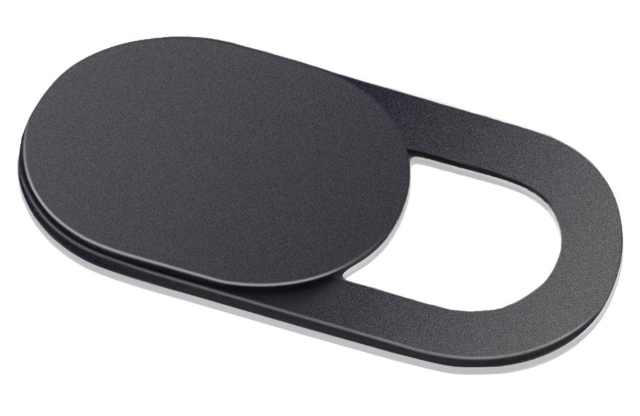 The ProTech Privacy Webcam cover is another slider cover, which despite being thicker than its competitors, offers durable build quality and works really well. Coming in with a thickness of 1.3mm, the ProTech webcam cover could cause issues for some laptops, but on the brighter side, it is much more durable. These covers are made and imported from Switzerland and offer some of the highest quality and design levels on the market. Also, it uses the 3M tape to stay attached to its surface for a permanent seal. Unlike other options, the ProTech Privacy is available in 3 color variants – Black Cast, Black Metal and Silver Metal. Lastly, thanks to its size, it can also be used with smartphones as well. 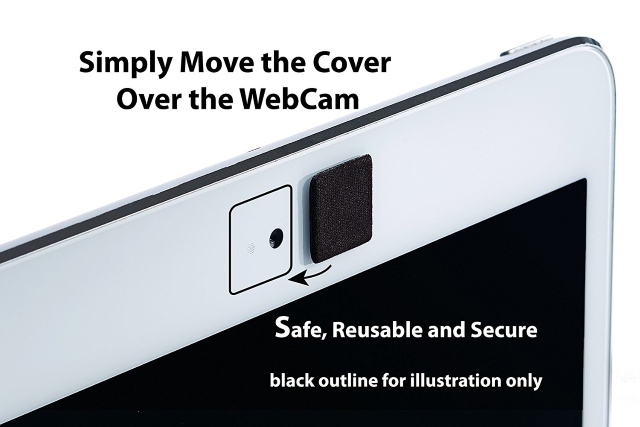 If slider webcam protectors are not what you’re looking for, you might wanna take a look at the solid black cover from WebCamera Cover. Yes, that’s the name of the company and the product as well (go figure). 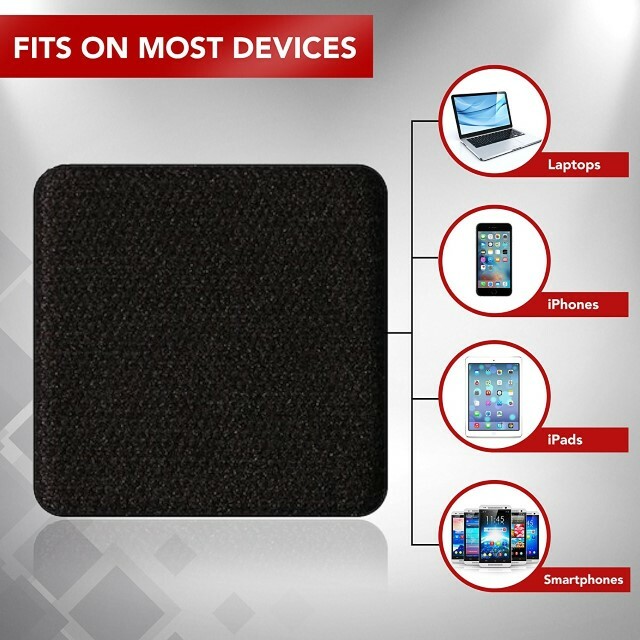 It is made from removable/reusable nano tech material that will stick to any surface 250,000 times without any residue for any device. Furthermore, if it becomes less sticky, you can just rinse it with cold water and once dry, it will be as good as new. Also, unlike other protectors, for the price of $7, you get not one, but a set of three webcam protectors. If you’re not using an integrated webcam on your laptop, but instead a dedicated webcam, the HUIYUN webcam cover is worth a look. Essentially made for the Logitech HD Pro Webcam C920 and C930e, if your webcam fits the make and look of these, you can easily use the HUIYUN webcam protector. 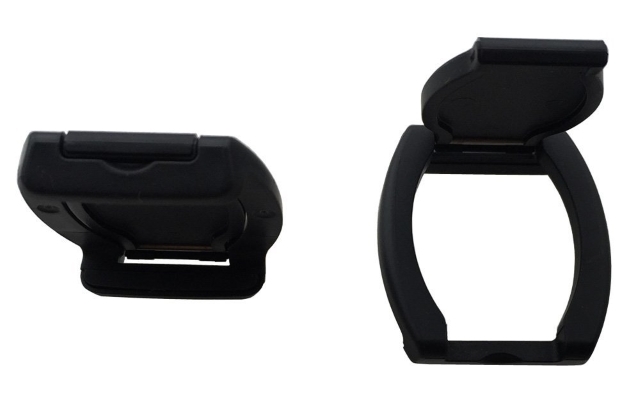 Different from the conventional slider covers, the HUIYUN offers a lens cap hood cover. While a little towards the expensive side, the camera offers top-notch quality and maintains its value for money. This is another slider webcam protector from Harmony Products, that’s capable of protecting your privacy effectively. 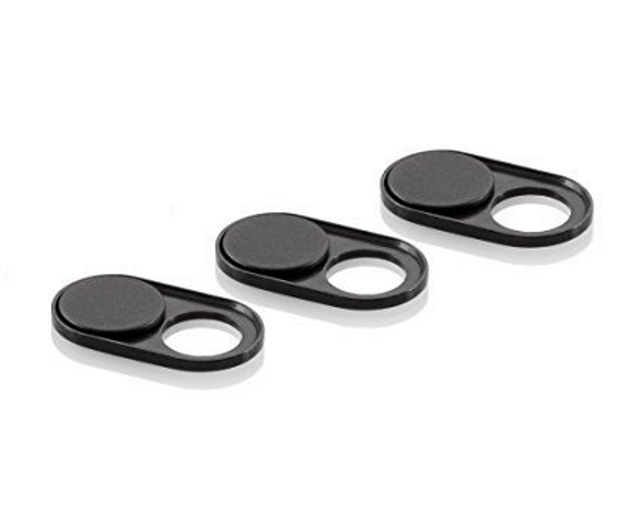 The webcam protector is quite durable since it is made up of high-quality aluminum alloy with self-adhesive that will stay on strong, but still, allow removal without any permanent residue. Furthermore, coming at a size of mere 12.5 mm X 7 mm, the protector can be easily used with your smartphones and other devices as well. Also, you get a pack of 3 sliders for the low price of $10.50, which is absolutely great. Probably one of the high-quality protectors out there, S-Privacy offers one of the best webcam protectors for your laptops. The product is fully printed and made out of a dense high-quality plastic and made in Europe. Also, it has been designed in such a way that it’s usable on every laptop out there. The webcam cover is easy to install and ultra thin, enabling you to close your laptop at all times. Also, the tape does not leave any residue and provides a strong grip to the device’s surface. Probably having the most minimalistic design out there, the webcam protector from CloudValley is quite different from the herd. 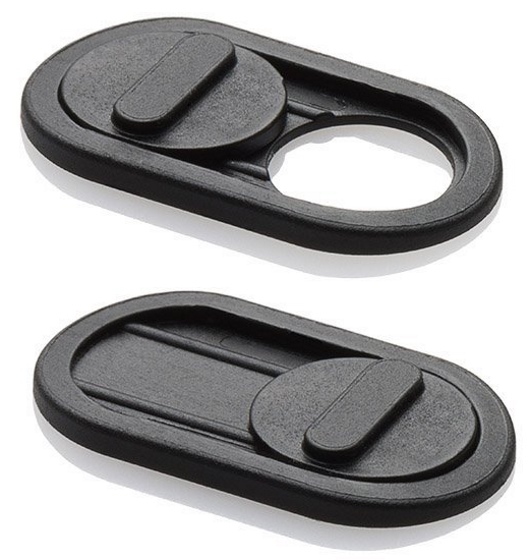 Although it is technically a slider design, it features just a single circular cover that can slide on the frame to protect your webcam. 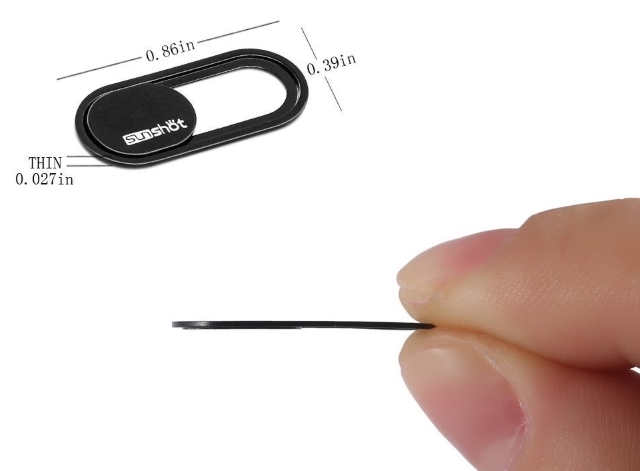 Furthermore, measuring only 0.031in (0.8mm) thick, it allows laptops to close perfectly. The surface also has a special coating process, which makes it even more comfortable to apply and use. Also, there is no compromise in quality, considering that it is made from high-grade durable ABS plastic. Stickable covers are always going to be easier to use, but they always come with the problem of not being reusable. That’s where PrivateCam comes in. While there are many sticker webcam protectors out there, only a rare few of them come even close to PrivateCam’s quality. It comes with micro-suction cup technology, that allows for a firmer grip without scratching the lens. Also, it leaves no residue on removal and can be reused multiple times. Furthermore, a sheet of PrivateCam webcam protector stickers comes multiple stickers, all in different sizes, to be used with all sorts of cameras. Last on this list, we’ve got Blue Lightning’s webcam protector. Stepping aside from the sliding design trend, Blue Lightning’s solid black webcam cover comes off as a square piece of stickable nanotech material, that is highly durable and can easily be applied on your webcam to protect your privacy. Also, since it is relatively small, it can be used on a variety of devices. The NanoTech material of this webcam protector allows the cover to stick to any surface for about 250,000 times without leaving a sticky adhesive residue. In times like these, one’s privacy is a growing matter of concern. Protecting your webcam is taking one step forward in stopping someone from snooping into your life. Also, as compared to putting a normal black tape on the webcam, these protectors look good and work great. Tell us about your favorite webcam cover from the list, and on when do you intend to use them on in the comments section below.